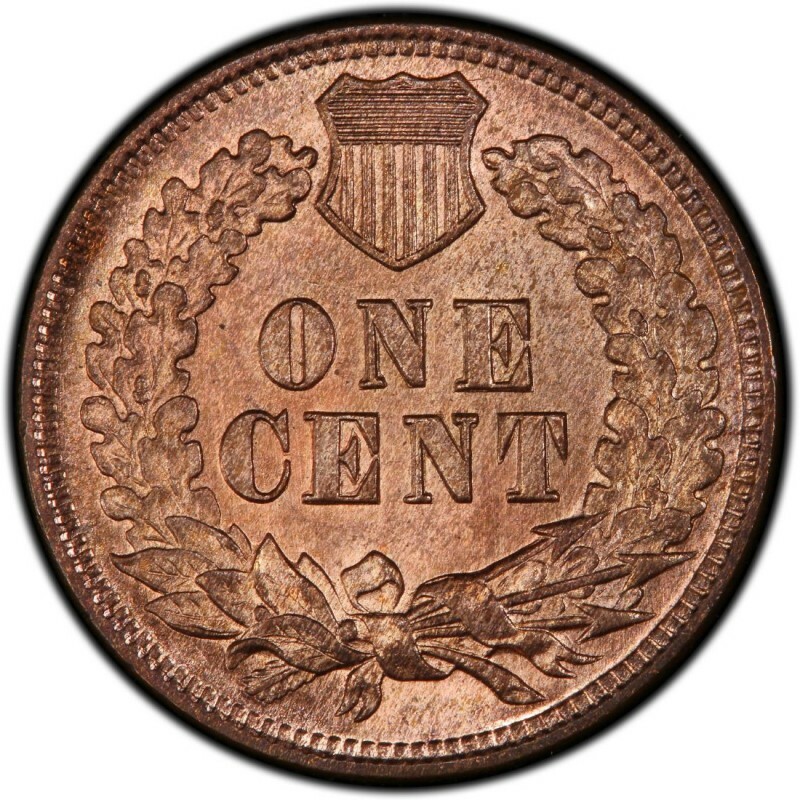 1871 Indian Head cents are among the scarcest in the series, and are the second rarest, regular-issue Philadelphia-minted Indian Head pennies (in terms of mintage) behind the 1877 Indian Head cent – a key date in the series. Of course, as is the case with all Indian Head cents, many pieces from this date are either no longer existent or are damaged in some way, so the number of wholly original pieces is much smaller than the mintage. In the case of the 1871 Indian Head cent, just 3,929,500 were originally made and, again, only a small number of those are actually still in original condition. Populations for many 1860s and 1870s Indian Head pennies are much lower than the respective mintages. In fact, just 5,000 to 6,000 may exist. Right now, an 1871 Indian Head penny in Good-4 condition retails for about $90; in Fine-12, prices skyrocket to $300. Proof specimens, of which only 960 were made, are worth $2,500. 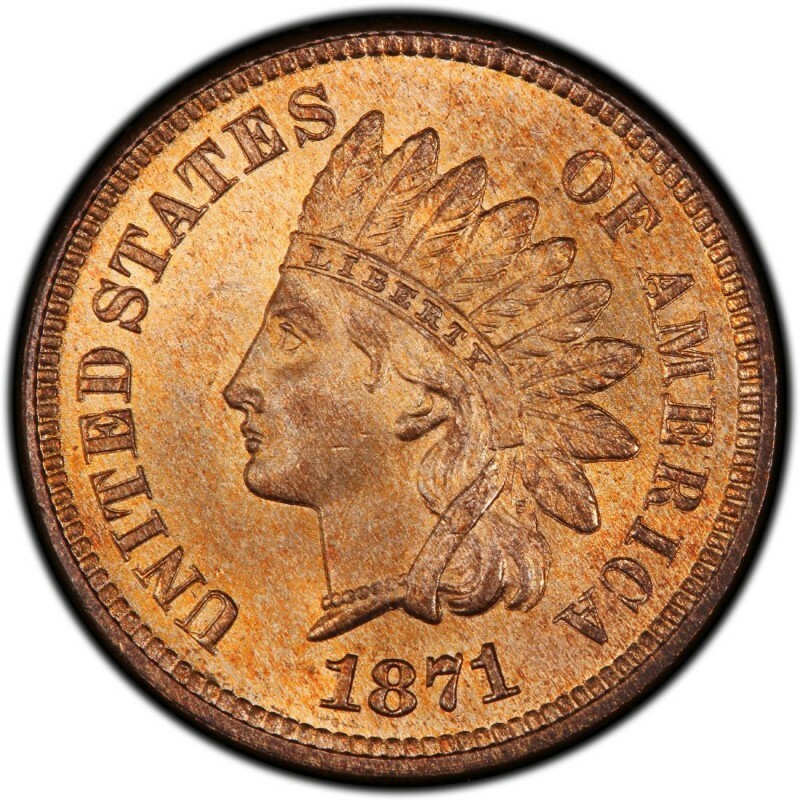 The 1871 Indian Head penny was designed by Chief Engraver of the United States Mint James B. Longacre. Many believe the Native American figure on the coin is an actual native. In fact, the figure on the coin is a depiction of Miss Liberty modeled after Longacre’s 12-year-old daughter, Sarah, wearing a traditional headdress.